Shockingly showy little perennial wildflower that display relatively huge brilliant red tubular flowers from a somewhat demure plant. Deep green/maroon foliage is aromatic but gives no hint at the ultimate showiness of the flowers. Blooms appear continuously from late spring to autumn. Very well drained soil of moderate fertility in full sun. Light summer water but occasional deep soaks spurs flowers. 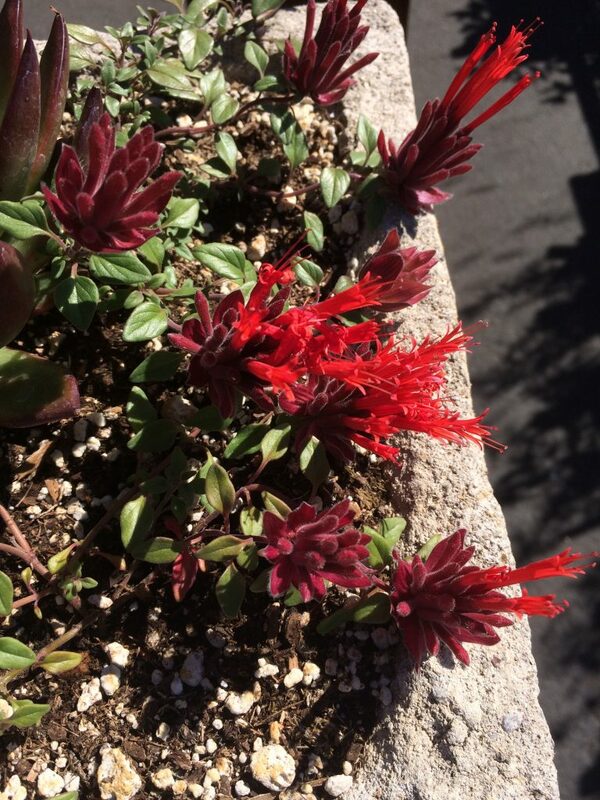 Hummingbirds actually get down to ground level for this 3″ tall by 14″ wide matt forming perennial. 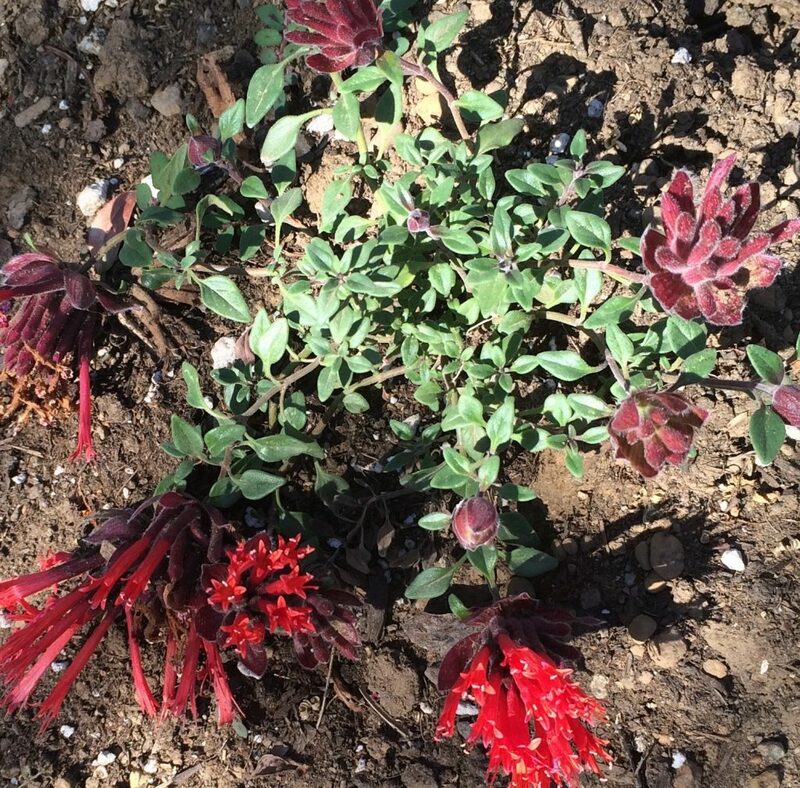 Good drainage aids in cold hardiness for this striking California native wildflower. Exceptional and long blooming in containers.